Could it be a new years resolution for someone? A life-long dream to start singing? Or, maybe, they need lessons but don’t have the money to pay for them? 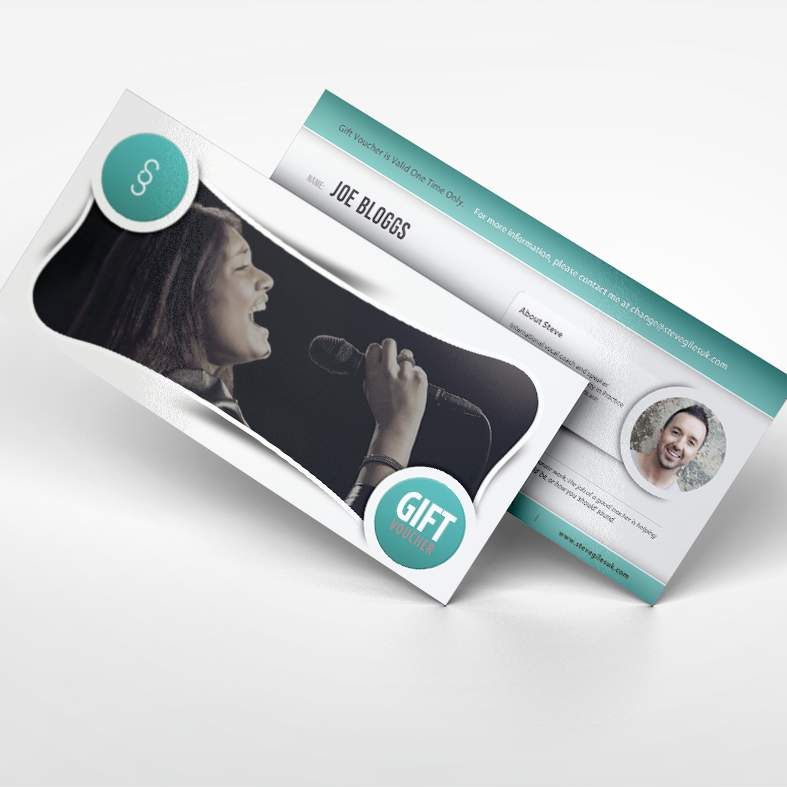 Buy your musical loved one the perfect gift this Christmas – Singing Lesson Gift Vouchers! You can find out more about Steve Giles, and just how he will make it a lesson to remember, at the My Story page above. Packages come in one, three or ten lessons. Delivered in central locations in Salisbury and Southampton, and on Skype. Buy yours today. Whether it’s establishing yourself as an artist in your own right, moulding a career as a backing singer, or professional corporate work; the job of a good teacher is helping you find and achieve your personal goal. And this is not a goal manufactured by the teacher based on the way things ‘should’ be, or how you ‘should’ sound. Often referred to as the student centred approach, my aim is to support you in achieving YOUR dream as a singer. When someone is 100% dedicated, passionate and driven, you can’t help but be inspired to become all those things yourself. His thirst for knowledge and improvement not only makes him brilliant, but his love for artistic creativity makes him conscientious, understanding and humble. This is Steve and without a doubt, with him, you know you’re in great hands. Steve is undoubtedly to me, one of the most genuinely gifted teachers I know, and he pushes himself to continually learn so that he can continually be great for anyone he works with. His professionalism, knowledge and vision have helped singers and choirs whom I have personally come across whether it be in the world of TV or live singing. Simply put….. Steve Giles is amazing!